Bring nourishment and creativity to your Christmas. 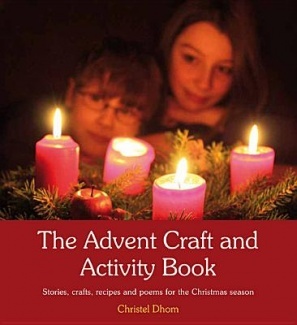 The ‘Advent Craft and Activity Book’ is a practical and fully illustrated book with creative suggestions for every day from December 1st through to Christmas and Epiphany. Full of crafts, activities and stories, this is a fabulous book for engaging and involving children in a Christmas Season full of joy and reverence. This entry was posted in Books, Christmas, Craft, Craft & Activity Books, Products and tagged Advent Craft and Activity Book, Bibra Lake, Christel Dhom, Christmas activities, christmas crafts, christmas recipies, Christmas stories, the honeyclock. Bookmark the permalink.